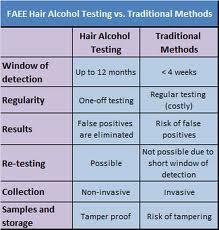 United States Drug Testing Laboratories (USDTL) has launched two new tests – one for fingernails and the other for hair – which can report a donor’s alcohol exposure for the past 90 days reliably. The NailStat and HairStat EtG tests measure ethyl glucuronide (EtG) – a minor product of alcohol metabolism. “For the first time, we have a tool that provides direct evidence of alcohol exposure with an approximate dosing history,” said USDTL President and Scientific Director Douglas Lewis. “Nail samples are the preferred specimen over hair samples since fingernails show no gender bias. Because cosmetic treatments destroy the presence of some drugs and biomarkers in hair, many women are not able to provide a valid sample,” said Lewis. USDTL developed the tests for practitioners who are interested in a clinical diagnostic when alcohol may contribute to a health condition.